For a truly memorable PowerPoint presentation, you need to string together all of your points in a coherent and visually pleasing manner. A good PowerPoint presentation is used to enhance your speech and to help your audience visualize the things you want them to understand. In this way, a professional PowerPoint presentation will seamlessly integrate appropriate visuals with your verbal presentation element. Our writers know their way around Microsoft PowerPoint and will give you the advantage you're looking for when your presentation time comes around. Are you aware that there are many ways to deliver visuals during your presentation: from overhead transparencies to paper printouts; from 35mm slides to online material on a screen? Choosing the appropriate format for your presentation can be the difference between an OK presentation and an A-OK one. When making a presentation, it's imperative to grab the audience's attention right off the bat. The best openings will spark interest, define expectations, introduce what's coming up, and set out why the presentation is important. The closing is just as important; it needs to be memorized and should reflect your main themes. Remember to include a call to action – ask the audience a question, motivate them to take action, elicit an emotional response. Our custom PowerPoint presentation and speech writing services allow you to focus on what's important: effectively delivering your speech. Our experienced writers can develop custom PowerPoint presentations and speeches for any level of difficulty, from beginner high school courses to high-level CEO presentations. On request, we can include hyperlinks (to take you to specific slides in your presentation or to webpages online) and hot spots. All of our presentations are clear and stylish, deliver a themed message that focusses on your main points, and are made to look professional (unless requested otherwise). In addition to the PowerPoint presentation itself, you may require speaker's notes, audience handouts, or presentation printouts to provide to participants or coworkers. Don't fret! We have you covered and can provide you with anything needed for a successful PowerPoint presentation at any level of difficulty. Our PowerPoint writers always take your audience into consideration when choosing a theme to support your content. Our writers are experts in creating coherent, stylized, custom PowerPoint presentations and speeches. MarvelousEssays.org has a well-deserved reputation as a leader in the online writing industry. We have prepared presentations, speeches, and essays for literally thousands of students and working professionals in every region of the world. We do this by ensuring that when you buy a custom presentation from MarvelousEssays.org at an affordable price, you receive only the highest-quality, creative, and authentic products available anywhere online. We guarantee that our products are customized to meet the individual needs and desires of every individual client. Have you ever asked yourself how to write a presentation or how to write a speech? Our writers have developed literally thousands of PowerPoint presentations and speeches for students and professionals of all levels. At MarvelousEssays.org, we hire only those writers that have a true passion for writing. We've put together a team of highly experienced, organized, creative, and detail-oriented writers, journalists, scientists, and editors, to make sure we can provide you with the highest-quality presentation and speech writing services online. We work hard to be the best writing service online, to offer the finest-quality products, and to ensure our customers' success. The smart customer knows what s/he needs to look for when buying online. Try to avoid websites with databases or sample presentations available. Even though their papers may be very cheap, be aware that they are sold to millions of students and professionals online. So, to receive an affordable, authentic, custom-designed PowerPoint presentation and speech, be sure to buy it at MarvelousEssays.org and we'll promise to prepare one especially for you. 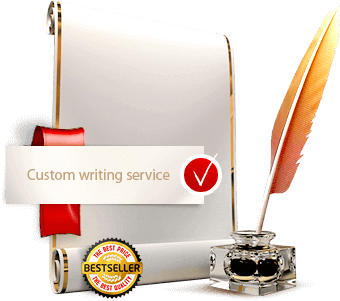 Our writing service ensures that every custom-ordered presentation, speech, or essay is authentic, original, of superior quality, and delivered on time. We are happy to meet your presentation and speech writing needs and to show you how to write a good presentation 24 hours a day / 7 days a week. So if you're looking for good writing, buy your PowerPoint presentation at MarvelousEssays.org and you can be sure that you've made the right decision. We guarantee that you will make the best paper writing buy here. We continue to work hard to remain the most reputable writing service online!